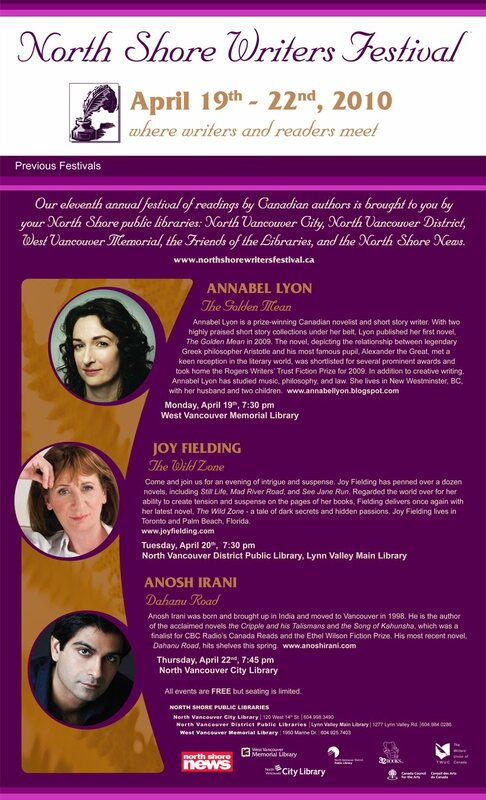 On Monday, April 19 at 7:30PM, I'll be reading at the West Vancouver Memorial Library as part of the North Shore Writers Festival. The event is free but seating is limited. For more information, please click here.